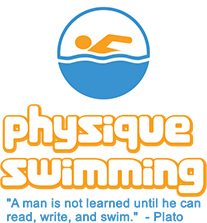 This program is for competitive swimmers already on a swim team or someone looking to join a swim team. The focus is to provide stroke development, conditioning and preparation for the upcoming season. Swimmers will benefit from stroke clinics, instructional videos, stretching and conditioning techniques, aquatics website exploration, and nutrition information. freestyle, starts, backstroke, breaststroke, butterfly, turns, and individual medley. The pool features 25 yards, 5 lanes and starting blocks.